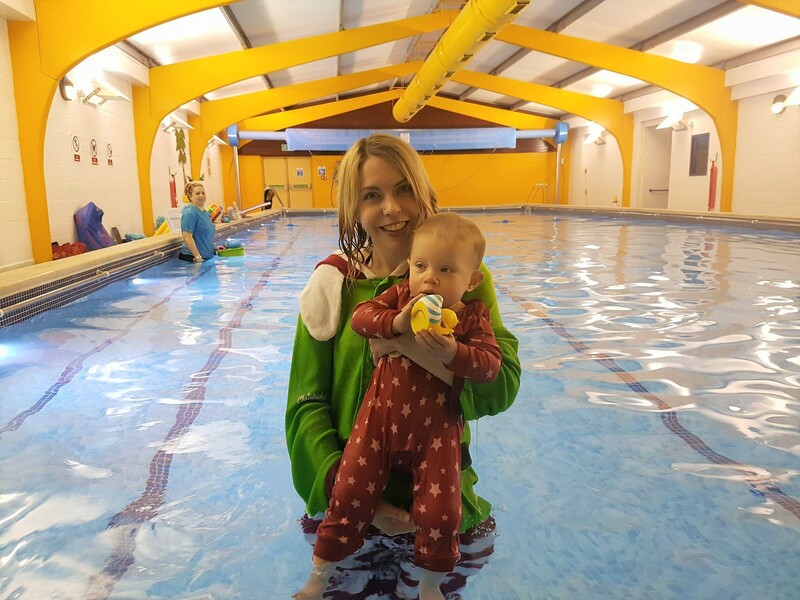 It’s very nearly the first anniversary of when I first took Autumn for baby swimming lessons with Puddle Ducks East Kent. We were trying out all sorts of different groups and things at the time as I found my confidence. I thought swimming would be a fantastic bonding experience for us both. However, most of all, I thought it would be great for her. There are many health benefits to it. Amongst other things, it helps babies, toddlers and children improve their coordination and it builds their muscles. When she was younger, I also found that it tired Autumn out so much she’d have an absolutely huge nap! So, if you’re desperate for sleep, you might want to give swimming a go! We had lessons for 6 months until last July. At the time, I was trying to work out what I was doing regarding my return to work. I didn’t know whether we’d be able to afford lessons, or if any of the times would even fit in with office hours. As the months went on, I felt guilty for stopping her lessons. When we went on holiday to Bluestone, Wales at the end of November, we took Autumn into a swimming pool for the first time since the summer. She absolutely loved it and barely stopped smiling! To my amazement, she actually remembered some of what she’d learned months before. Puddle Ducks East Kent and I were discussing a collaboration of sorts at the time and I was delighted that Autumn and I were going to start swimming together again. Swimming groups are done by age, with activities organised suited to the ability of that bracket. Autumn started in Floaties when she was 3 months old and went into Splashers at 6 months. This group lasts until 15 months, so Autumn was only just a Splasher upon our return last month. Since Christmas, she has gone up into Kickers. On our first lesson, we took things very easy. We didn’t put Autumn underwater at all, instead gently getting her used to the environment and sensations again. When you go to Puddle Ducks, you very quickly realise that the teachers are so lovely and kind. They know each child by name and tailor things around them. We did take part in bubble blowing (which Autumn loves) and some of the other exercises. This included holding her out on my arm, going around in a circle and holding and whooshing her through the water whilst singing. Autumn seemed to love being back in the pool. I’m not sure what her favourite Puddle Ducks song is, but I think mine is “Jelly on a plate”. You hold your child in a sitting position on the edge of a large rectangular float. The teacher then starts wobbling it as you sing “Jelly on a plate, jelly on a plate. Wibble, wobble, wibble, wobble, jelly off the plate!” As you say the last bit, you ask your child to jump and help them “jump” and then hold them as though they’re swimming through the water. With a bit of encouragement, Autumn remembered to kick and splash like she used to. On our second week back at Puddle Ducks, Autumn was definitely feeling more confident. Our teacher let her go underwater this time and was pleased to see that she remembered what to do! I still find it remarkable that children this young understand they need to close their eyes and hold their breath when going underwater, if carefully instructed to do so over a short period of time. Every week at Puddle Ducks is different, it doesn’t get boring. This week, we did a few activities that are usually done in Kickers. We were instructed to encourage our child to hold on to the rail at the side of the pool, turn and swim. Autumn got a bit distracted by the rubber ducks at the side of the pool, so we learned our lesson and moved along a bit! As well as being good for building their muscles etc., I see exercises like this as being potentially life saving. It’s so important that children know what to do if they unexpectedly find themselves in water. We sang some different songs and finished the lesson playing with a cute rubber duck, before heading outside into the snow! I wonder, perhaps, if people get put off of swimming lessons in the winter. However, I’m someone who really feels the cold and I can assure you it’s really not that bad! Besides, the pool is lovely and warm. Our third week back was Christmas week! Every now and again, Puddle Ducks have themed weeks with fun activities to match. In an email sent to us, we were encouraged to wear Christmas clothes. As such, I arrived in my Christmas elf onesie and Autumn wore one of her Christmas outfits. Unfortunately, she had a bad cold. I contemplated staying at home, but thought as she loves swimming so much that it might cheer her up. Our teacher had a festive hairband on and we had such a fun lesson! We sang various Christmas songs, including Rudolph the Red Nose Reindeer while we rode around on a woggle. It was absolutely brilliant and Autumn did perk up quite a bit. We’ve now had two lessons after Christmas, which of course means we’ve moved up a class to Kickers. The age bracket of this group is 15 months to 30 months. Therefore, there are children that are much older than Autumn! I think that it’s great for her to be able to see what they’re capable of and hopefully it’ll spur her on. On our first lesson after Christmas, Autumn was having a really grumpy day due to tiredness and teething. As soon as one of the woggles got anywhere near her she cried and she kept wanting my husband who was at the side of the pool. He actually had to leave the poolside and she did manage to get on a bit better in his absence. However, our teacher was perfectly understanding. Rather than needlessly upsetting her, she took the woggle away and gave us an alternative activity to do instead. It’s quite embarrassing and makes you feel flustered when your child isn’t playing ball. When someone is understanding of that and bends to meet your child’s needs, it’s fantastic. Even though we weren’t doing what the others were doing, we were still making progress and happy! Last Sunday, Autumn was in much better spirits and we probably had one of our best lessons yet! She kept being cheeky and trying to blow bubbles in the water. She kicked well during a shallow dive and held onto the bar when she was supposed to. I could be wrong, but I’m sure she pushed her a little off of the wall with her feet too! Without a doubt, swimming lessons are definitely one of the highlights of our week and I always look forward to the next one. We swim with Puddle Ducks East Kent. They have classes in and around Strood and Rochester in Medway, where we are based. However, they stretch out across the east of Kent, covering the Maidstone, Faversham, Ashford and Canterbury areas and the coastal towns including Ramsgate, Broadstairs, Margate and Folkestone. You can check out their Facebook page here. If you’re in one of these areas and would like to try it out, they do offer a free trial lesson and you can get 10% off of your first and second payments with them as well as a free rubber duck by using this code: AUTUMN10. This can be used when booking via the phone, email or enquiring online (please note it won’t work if you pay online as the Puddle Ducks team need to add it manually. T&Cs can be viewed at the end of this blog post). If you’re not in East Kent, Puddle Ducks have a presence around the whole country. I’m still ever so happy with them just over a year after we first discovered them. It’s so much fun, good exercise and your child could learn potentially life saving skills! 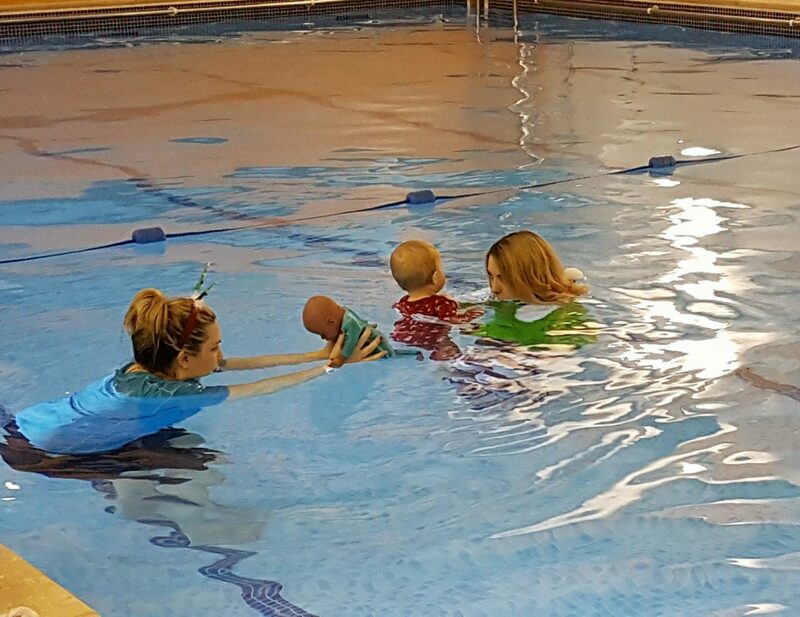 Have you taken your baby or toddler swimming? I’d love to hear about it! Disclosure: I received a discount on lessons with Puddle Ducks East Kent in exchange for this post. As always, all views are honest and my own. Terms & Conditions of the AUTUMN10 Puddle Ducks East Kent discount code: Puddle Ducks East Kent are delighted to offer 10% off of your first and second payments with them if you use this unique code, AUTUMN10. PLUS everyone who books using this code will get a free Rubber Duck, too! In order to redeem this code, bookings must be made directly with the office by contacting 01622 236111 or [email protected]. Bookings made through the website will not be eligible for the discount. Nige recently posted…Am I A Pet Sort Of Person? Well I’m About To Find Out!